I returned to work yesterday after a Christmas break with family in Norfolk. After 10 days It’s great to be home in London and with the new year brings the start of a new season of species recording. Given I finally got around to signing up my daughter and I to become members of the BSBI, I think this year will be a botanical one. I haven’t really been looking hard, but I noticed cow parsley in flower and spring bulbs leafy and green in Norwich, and back home in London, my viburnum bush is bursting with flowers attracting opportunist bees foraging on the more milder days. Sitting on the train this January morning, listening to the girls next to me moan about the state of their nail varnish and what they had for dinner last night (sushi for one and the other had home made tagine), I’m sat with my chipped teal nails wondering how many flowers I can spot on my commute this month. 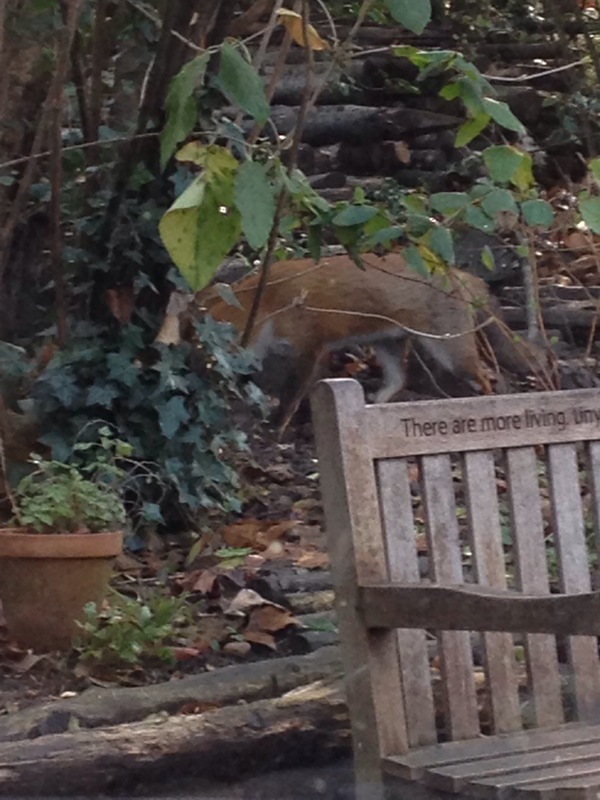 A fox sneaking past my office window yesterday!